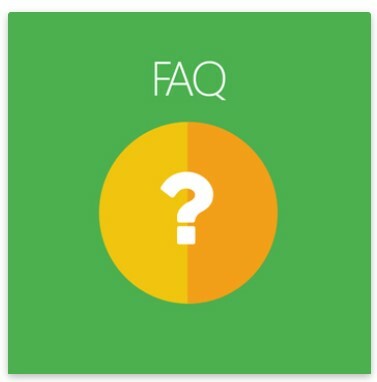 FAQ Homepage is optimized with the friendly and simple interface to users. Here customers will find an instant box and specific question categories which are distributed very neatly. Therefore, the users can definitely find the questions they are concerned with ease. In SEO config, meta title, description, keyword for each question can be edited to be friendly to search engines. Additionally, URLs of any question pages, question categories, FAQ homepage might also be suitably fixed to improve SEO and be more human-readable for customers. Below the search bar are frequent questions which are classified into specific categories. The number of existing questions is displayed by category name. The category’s icon and position can all be changed on the backend. Also, admin can enable each answer to be instantly displayed below its question when the visitors click on. Otherwise, they will be directed to the detailed answer page or via “Read more” button. The instant search box is located in the center of the top with colorful design for easy notice. Only by typing one or some letters of the keyword, customers will immediately find out related results on category sections and choose the most suitable one. Knowledge Base’ color is customizable on the backend configuration. Admins can change the look of FAQ page by setting some features to be displayed reasonably: Page title, Page layout, Search box configuration, FAQ style, category column, question number per category. This feature is added to help customers evaluate the helpfulness of each answer. It can be set to be only visible to one or several specific customer groups. The audience is allowed to share the question on social channels such as Facebook, Twitter, Google+,… There are up to 194 channels supported. The FAQs can be restricted to be only visible and asked by one or several customer groups. A brief report of figures for Views, Action, Positive and Negative statistics is shown on the backend. Show Term and Conditions before a question is submitted. This extension is also compatible with Magento 2 GDPR module. Totally compatible with Mageplaza reCAPTCHA extension which helps add visible Captcha to Ask the question form. All required questions from either admin or users are included here. Actions admin can perform: Delete, Change Visibility, Edit, Instant edit. The number of views and performed actions are counted by times, the proportion of positive and negative action is shown in percentage. Question settings are editable, depends on admin’s configuration including the content of question and answer, URL to the detailed page, category selection. Meta title, meta description and meta keywords can be changed on the backend to improve SEO ranking. Filter, change the store view or hide/represent the columns or export the grid. The name, URK Key, Status, Store view and Icon for the Category can be customized easily. 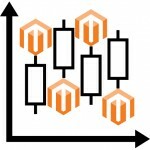 The meta can be configured here to make better SEO. Here you can enable the module, choose FAQ color, allow voting – Negative or Positive, set customer limitation for voting. As a part of General Config, this section includes all the configuration of adding questions. All result changes are displayed on the detailed question page. This section allows enabling Question Detail Page, the length of a question and the page layout. The search box can be enabled to set title and description here. Admins can enable/disable the module and some related features such as page title, question style and route. To better your SEO, here are some settings that you can make changes to Meta title, Meta description, Meta keywords, Meta Robots on FAQ homepage. When enabled, Terms & conditions will be shown below the checkbox form. By choosing “Yes”, you will enable this feature to send notification mail to your customers whenever his/her question is responded. If enabled, an email will be sent to you when there is any question. So how to create the widget? Step 5: Move to Widget Options tab, then name the widget that you want to display on the frontend. Enable/disable search bar to appear. Visitors can quickly search for any question using search box. Enable/disable every individual answer to be shown below its question instantly after one single click. All the questions of category will be displayed. Similar to searching FAQ homepage, by deleting keywords, you will be back to the original page. For the countries that do not employ English as the mother tongue, questions will not be submitted. Customers can submit a question here. Those submitted by creating the form in Product Tab will be auto-displayed in the Product Detail when publicized. Enable/disable robots to record or/and follow. Click “Read more” to see detailed question. Providing better experience for customers is the best way for your store to retain visitors and buyers. FAQ extension by Mageplaza is one of the helpful tools for supporting service and gain satisfaction from customers. It’s time to install FAQ module and enjoy its great effect!